The new Osram LED accessories Cuby and Raystar combine energy efficient LED technology with elegant design in a range of colors. Designed as cubes and flashlights, they can bring light and color to shelves, cars and even handbags. The winning feature of the practical miniature luminaires is that Cuby and Raystar need no batteries. 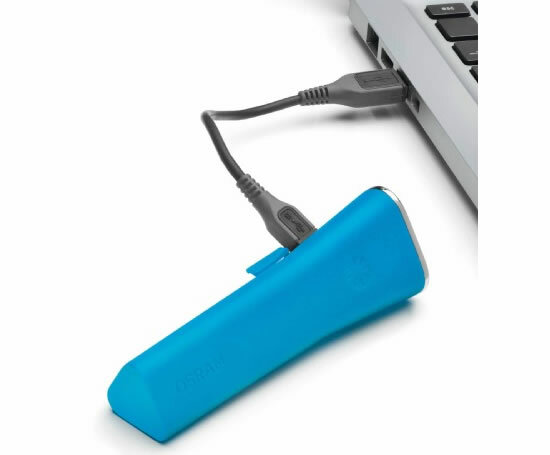 The integrated rechargeable battery is simply charged via a USB port. 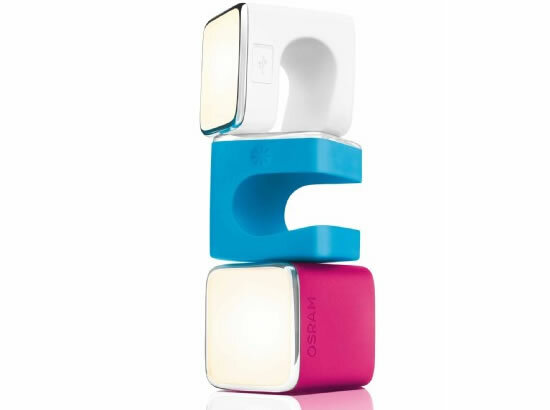 Both LED accessories from Osram received the Red Dot coveted Design Prize in 2012. Whether you use them to find keys in the dark, to light shelves or as a reading lamp in the car, Osram’s new Cuby and Raystar LED luminaires are a handy day-to-day solution that can tackle any challenge. The energy-efficient LED technology inside them is protected by a dirt-resistant rubberized silicone material that is both pleasing to the touch and shockproof. The light weight and small size of the luminaires makes these LED accessories the perfect travel companions. Cuby and Raystar are not powered by disposable batteries like similar products, but by rechargeable batteries with a running time of three hours. A special feature in this respect is that the batteries can simply be charged via a USB interface thanks to the charger cable that comes with them, as is already common for mobile phones and smartphones. Simply connect to a notebook or PC and the LED accessory is ready for use again in just a short time. Snow, pink and sky – the stylish lighting accessories are available in a number of lifestyle colors.